Does any of your application require warm air or fluid? Looking for a solution to ease the task? Sunrise Products bring Bobbin Heater to you. These are used for warming the air or other fluids, where dismantling without draining is totally fundamental. 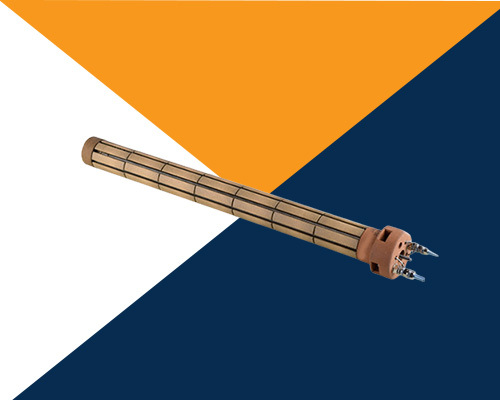 Being the most successful Bobbin Heater Manufacturers in Delhi, we utilize quality raw components and techniques that uplift the performance of the heater. As we have our in-house facility, so, we make different widths and length range from size 8mm to 80mm and length running from 50mm to 2000mm long of the Ceramic Bobbin Heaters available for our customers. Furthermore, we passed them through a number of quality tests to ensure their quick heating and long-serving life. These are made of different metal or material and suited for warming fluids at its best-required temperature. We are known as highly appreciated Refractory Bobbin Heaters Suppliers and Exporters from India. We made Bobbin Immersion Heater, as per customers predefined requirements, so, they won’t get disappointed with the quality and design of the heater. Place your order right away.